About Us | Larry Brown Inc.
Larry Brown Inc. is a high-end residential homebuilder and developer in the Portland metro area. Our company was started in 1957 by our father, Larry Brown. Scott and Marilyn were trained to build a great home and have a satisfied customer. In over 50 years of custom home building, we have earned the reputation of building a very high quality home and treating our clients with the utmost respect. Our CCB#, 643, is one of the oldest in the state. We have never had a claim against our contractors license. Many of our clients have property to build a custom home. We guide you through the process of designing a home plan with our custom home designer, selecting the specifications and ultimately building your new home. We are happy to help you evaluate a property for potential building. We purchase land for residential development. Most of our new developments are infill properties. Our goal is to create unique neighborhoods with buildable lots and interesting street layouts while being sensitive to the surrounding neighborhood. In our neighborhoods, we build custom spec homes for sale. Each plan is individually designed and built according to our specifications. Every home is different. Our customers tell us that our attention to detail is exceptional and our quality of construction is superior. Our subcontractors are fine craftsmen committed to providing the finest workmanship and materials. 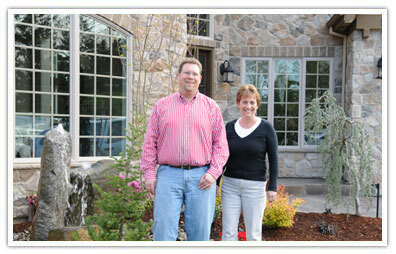 Our LBI team consists of Marilyn Brown and Scott Brown, sister and brother. Marilyn is responsible for client relations, including helping you through the entire design and specification process. Scott is the day-to-day construction manager overseeing every detail of the construction process. Marilyn and Scott work together to give clients their full attention throughout the building process.